Each Mayor chooses charities to support with the proceeds of fundraising and donations during his or her year in office. These are the charities chosen by Cllr Sean Keating. Provides support and services for people with learning disabilities, their parents and carers. One-to-one support to help people with learning disabilities to live independently. Seven leisure clubs offering a wide range of activities including disco, bingo, dance and drama, sports, a youth club and outings. ASPIRE programme which helps individuals progress towards paid employment with consultations and a weekly job club. STEP ONE - weekly life skills training on subjects such as handling money, budgeting, travel training, healthy eating and safety on the internet. GREENFINGERS - a horticulture, woodwork, crafts and recycling project offering individuals the chance to learn new skills in a friendly environment. A training programme gives individuals the opportunity to demonstrate what they have learned to prospective employers. Gardening in the community programme - Greenfingers provides a garden maintenance service for elderly and disabled people. 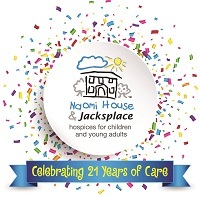 Naomi House and Jacksplace are hospices for life-limited and life threatened children and young adults. The charity offers a unique and vital service allowing families to take advantage of much-needed respite, community, emergency, end of life and post-bereavement care. Naomi House is full of noise, love and laughter, with nursing staff providing individualised nursing care that helps to enhance short lives and allows families to make the most of their precious time with their children. There are 11 children's bedrooms and five family bedrooms at Naomi House, along with a broad range of facilities, including music therapy, computers, multi-sensory play rooms and a bereavement suite. Jacksplace is a specialist hospice that cares for teenagers and young people aged 16 to 35. Jacksplace has six bedrooms equipped with specialist beds, hoists and state of the art en-suite bathrooms, and gives life limited and life-threatened young people the privacy, independence and dignity they deserve. The charity employs highly-skilled doctors, nurses, carers and play specialists, as well as an experienced family support team who offer practical, emotional and spiritual support for the whole family, throughout their child's life and after death. Naomi House and Jacksplace provides the compassionate care that families need on good days, difficult days and last days. 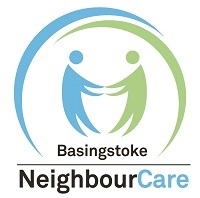 Basingstoke NeighbourCare is a charity that assists people to do what they would otherwise be unable to do by themselves. Volunteers transport people by car to medical appointments, provide trips to visit loved ones, take them to the library, to their clubs or just to the shops. They also offer a befriending service for lonely and isolated members of the community, where its volunteers visit them to have a chat often over a cup of tea. Anyone in need in the Basingstoke, Tadley and Sherfield areas can ask for assistance; all it takes is a call to the charity's friendly office staff. The charity's 105 volunteers have helped over 460 people in the local community by assisting on nearly 5,000 occasions - its drivers travel a total of over 35,000 miles each year. All these tasks are delivered by volunteers who provide the community spirit that is so strong in Basingstoke and the surrounding areas. Any donations received through the Mayor's Charity Appeal will help to ensure that this vital lifeline to many local residents can continue beyond its 21st year and expand. Patron: The Countess of Portsmouth. For further information about Basingstoke NeighbourCare visit www.neighbourcare.com, email info@neighbourcare.com or call 01256 423855.